Seattle-based Wellpepper took the $125,000 grand prize in the Alexa Diabetes Challenge, a competition to develop voice technology specifically to help people newly diagnosed with type 2 diabetes. 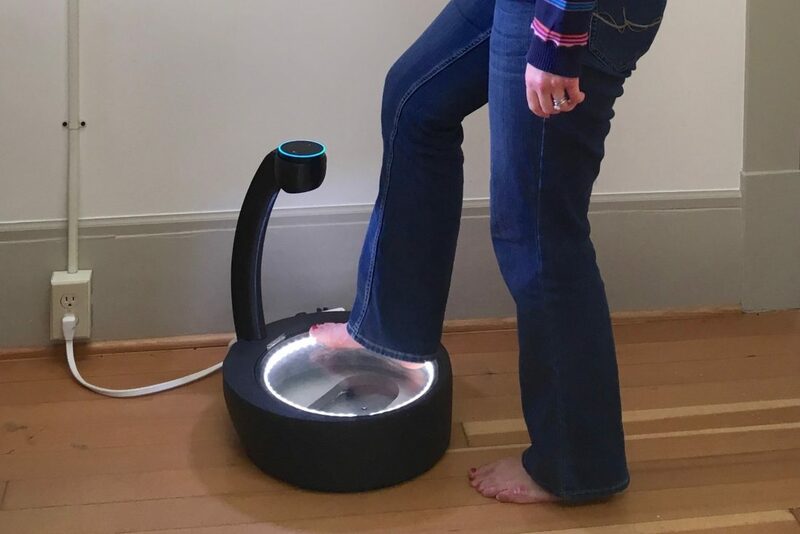 Wellpepper’s entry, called Sugarpod, is an interactive care and management plan, paired with a voice-enabled scale and foot scanner, that’s meant to help people with the disease integrate new behaviors into their daily routines. Wellpepper co-founder and CEO Anne Weiler tells Xconomy the win was a surprise. “We found that the caliber of the entries and the competitors was really high,” she says. Sugarpod was selected from a group of five finalists, winnowed from 96 entries in the competition, which was sponsored by Merck (NYSE: MRK), and supported by Amazon Web Services. Luminary Labs, which ran the challenge, announced the winner Monday. “Our approach was to take an end-to-end solution that included IoT and really integrated into the fabric of somebody’s day,” Weiler says. She is proud of what her company accomplished during the three-month timeframe of the challenge. After conceiving of the idea, they went through four prototype scale designs and tested it in a clinic with real patients. The challenge helped Wellpepper, a five-year-old startup, quickly realize how voice could be used in diabetes management, as well as its care plans for other conditions, which help patients communicate with care providers via text message, email, and web and mobile apps. As Weiler explained in a previous interview with Xconomy, barriers remain to using Amazon’s (NASDAQ: AMZN) voice technologies for medical applications that deal directly with patient information. Amazon’s voice services, Alexa and Lex, do not yet comply with the U.S. federal law governing how doctors, insurers, and other covered groups handle patient healthcare data—the Health Insurance Portability and Accountability Act. Weiler says Wellpepper has received lots of interest in Sugarpod, and it’s still examining its next steps. You can hear more from Wellpepper co-founder and CTO Mike Van Snellenberg at Xconomy’s upcoming Seattle event: Healthcare + A.I. Northwest on Nov. 9. See our event page for more details.